The Modern Arts Guitaar Quartet had its beginnings in 1989 in Theodore Norman's weekly guitar ensemble at the University of California at Los Angeles where Buzz Gravelle, Walter Marsh, James Phillipsen, and Lawrence Schwedler were studying classical guitar. In the spring of 1991 Ted suggested that the four guitarists organize a European tour. Guided by Ted's philosophy that composition and arrangement are essential activities for the performing musician, James began writing a piece for the tour. 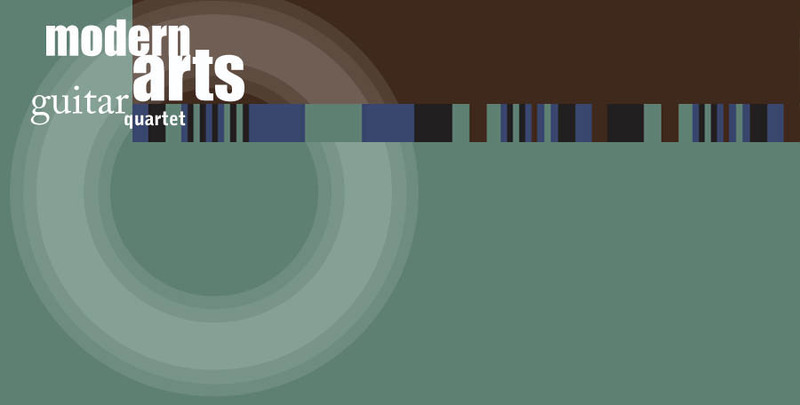 A catalyst for the ensemble's development, his Quartet No. 1 would also prove to be the first of many pieces composed and arranged by the group's members that would form the foundation of their unique repertoire. 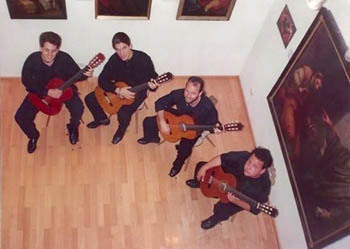 The successful tour helped establish the Quartet as a unique and exciting voice for the classical guitar, upending traditional notions of repertoire with forays into twelve-tone, atonal, aleatoric, prepared, electro-acoustic, and minimalist styles. Juxtaposed with arrangements of works by twentieth century masters such as Stravinsky, Debussy, Krenek, Kodály, and Gershwin, this mixture of sophistication, bold experimentation and passionate performance soon attracted a dedicated following. The Quartet went on to give over one hundred performances between 1991 and 1995, performing regularly throughout the greater Los Angeles region. The group undertook a road tour of the west coast that extended as far north as Vancouver, British Columbia and in 1994, at the invitation of Mexican composer Manuel Enriquez, performed for the 16th Annual International Forum of New Music at Mexico City's historic Palacio de Bellas Artes.